With the Scottish referendum looming during the last couple of months, I have been reminiscing recently about my family's visit to Scotland back in 2006. Although I grew up in England, and spent my first 16 years there, I had never been north of the border; it's a long way from the south-coast, where we lived - near Southampton - and to which we stuck for our holidays and weekend outings. During our trip to Scotland in 2006 we focused on two major destinations: we experienced urban life in Edinburgh, the Scottish capital; and then we drove north into the North-West Highlands for a five-day stay on the Isle of Skye. Before the Skye Bridge was built (it opened in 1995) the only way to get to the island with a vehicle was to take a ferry. 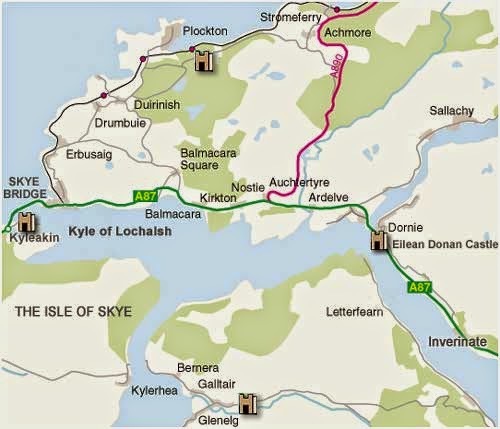 Your choice was to sail either from Mallaig on the mainland across the Sound of Sleat to Armadale in the Sleat Peninsula of Skye, or to take the ferry from the village of Kyle of Lochalsh to Kyleakin on the eastern tip of Skye. When you had to take a ferry in the busy tourist season, it was often a long wait in Kyle of Lochalsh. 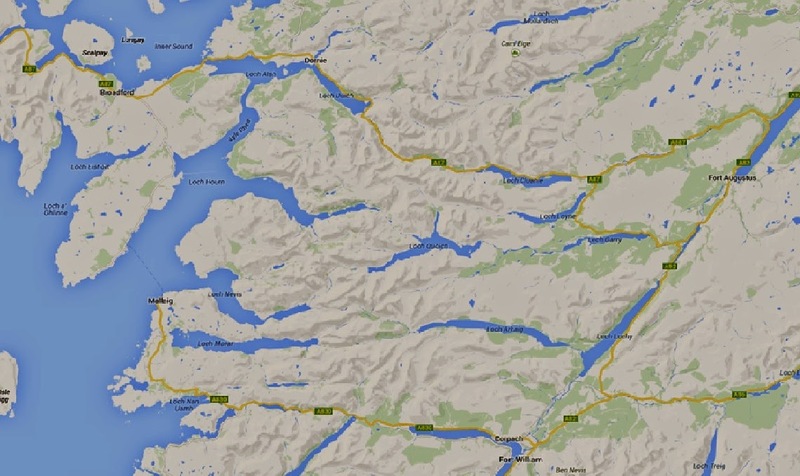 Now you can drive up from Fort William via the A82 and A87, and cross Loch Alsh directly into Skye on the bridge. One of the day-trips we planned for this sojourn in Skye was a trip to the highly-picturesque village of Plockton. It was a long drive from the cottage we had rented near Portree, in the north-west corner of the island. We had to drive back to Kyle of Lochalsh (about an hour to cover the 65 km) and then north about 10 km on a narrow "minor" road to Plockton. The photographs in this post were all taken during our visit there in July, 2006. Why take all of that trouble to get to a remote village, when there are plenty of picturesque places on Skye? Actually, Plockton is especially attractive; but, more importantly, it was the village used for location-shooting for the TV comedy-drama series Hamish Macbeth. 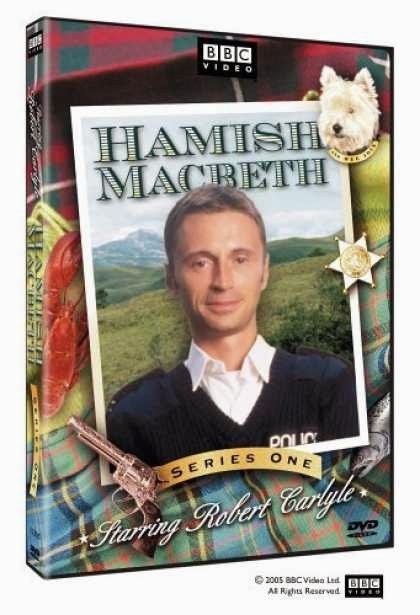 Barb and I loved this series, which starred Robert Carlyle as the sole policeman in the remote community of "Lochdubh" (Plockton is its stand-in). Hamish Macbeth - based loosely on a series of mystery novels by M.C. Beaton - was made by BBC Scotland between 1995-1997; its three seasons consisted of 20 episodes. Carlyle plays the title character, Hamish Macbeth - a policeman who loves the situation he is in; he does everything he can to avoid being transferred or promoted. 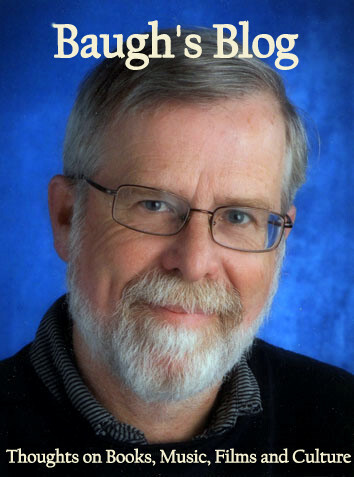 His approach to policing is that of a true "peace-officer". He always looks for ways to smooth things over and avoid conflict; instead of exercising the "long arm of the law", he tends to turn a blind eye to some of the questionable activities of the community's many quirky residents. 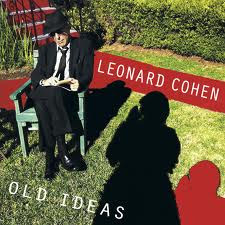 The series is amusing and the tone often veers towards the ironic and the surreal. And the gorgeous outdoor scenery adds to its off-beat appeal. Plockton is located on a sheltered bay off of Loch Carron in the Western Highlands. It has a population of about 400. It used to be primarily a fishing and crofting community. Most of the houses are of the whitewashed cottage style - built in the 19th and 20th centuries. Plockton has a surprisingly mild climate, despite the northern latitude. It faces away from the prevailing westerly winds and feels the effects of the North Atlantic Drift. There are palm trees growing on Harbour Street, the village's main street. We walked down Harbour Street, with the water on our right. Then we climbed down onto the narrow beach and walked to the end of a nearby promontory. In the calm waters we could see jellyfish floating beside a small boat. There were several of them - each of a different hue. We made our way back to Plockton's main street; Gillian and Colin (then aged 9 and 8, respectively) searched amongst the detritus on the beach for interesting shells and pebbles. We stopped for lunch in The Plockton Hotel. I tried a bottle of ale from a local micro-brewery on Skye. And then enjoyed my first taste of Cullen Skink - a delicious soup made from smoked haddock, potatoes, onions and milk. Further down Harbour Street we found a craft shop in the building that was used in Hamish Macbeth as Rory Campbell's grocery shop. I spent a few minutes browsing inside - checking out the postcards and souvenirs. And soon we were back in our rented car and heading south to Kyle of Lochalsh and then across the bridge back to Skye. If you're visiting Skye, Plockton is worth a side-trip. Even if you're unfamiliar with Hamish Macbeth, you will enjoy its incredible charm.